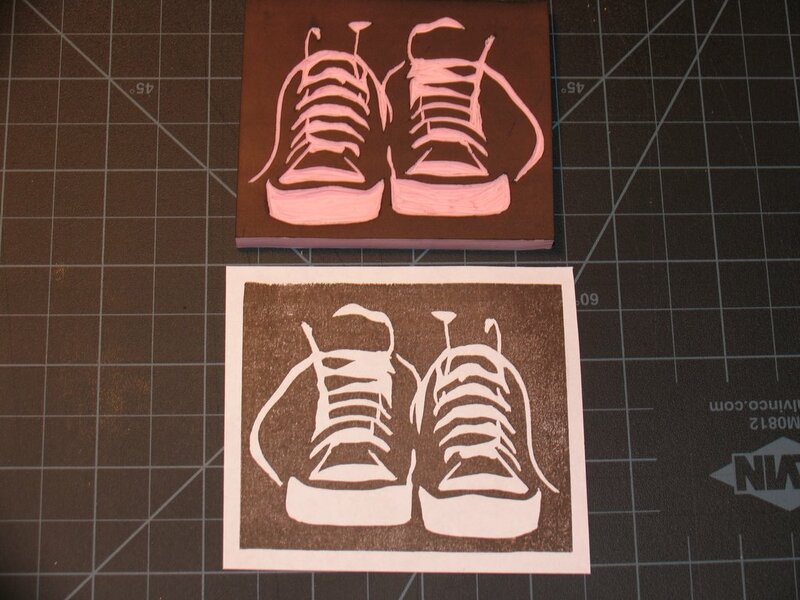 Carving rubber stamps has quickly become a Zen thing for me. 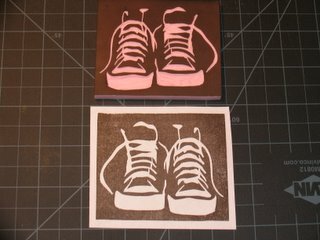 The 'Converse' shoes are my 2nd attempt at carving. I like that I must 'be in the moment' ...fully concentrating, or cut myself (! ), and that it's quiet.